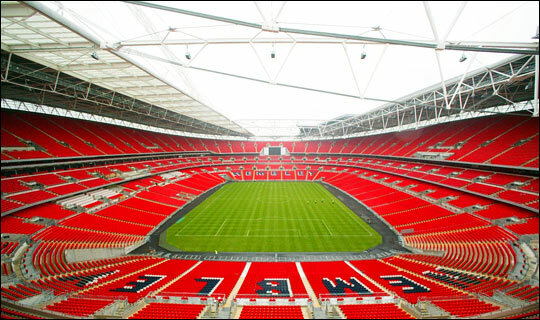 The 2018/19 season curtain raiser is upon us as Premier League champions Manchester City take on FA Cup holders Chelsea in the Community Shield at Wembley this afternoon. Pep Guardiola is without David Silva, Kevin De Bruyne and Raheem Sterling but Riyad Mahrez is passed fit to start in attack after shaking off a knock. Leroy Sane also starts along with Bernado Silva while youngster Ben Foden gets a chance to impress. Sergio Aguero leads the line up front while Claudio Bravo starts in goal with Kyle Walker and John Stones in defence. Maurizio Sarri has started with Cesar Azpilicueta, Antonio Rudiger and David Luiz in defence while Jorginho marshalls the midfield alongside Cesc Fabregas and Ross Barkley. Alvaro Morata starts up front with Hudson-Odoi getting a chance to impress in attack along with Pedro. Caballero, Azpilicueta, Rudiger, Luiz, Alonso, Jorginho, Fabregas, Barkley, Pedro, Hudson-Odoi, Morata.